Ukrainians will elect the president on 21 April. Presidential election frontrunner Volodymyr Zelenskyy has called on President Petro Poroshenko to carry out his duties and promises instead of "running after him" from TV channel to channel, giving medical samples and performing at the stadium. "Please do it. This is your concern that a showman can become president, but the president who became a showman is a shame. 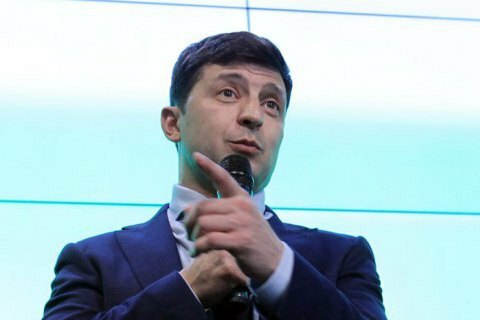 The debate is on 19 April, duties are every day," Zelenskyy said.